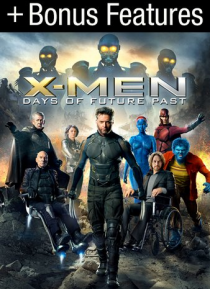 An all-star cast, including Hugh Jackman, Michael Fassbender, James McAvoy, Halle Berry, Jennifer Lawrence, Ellen Page, Ian McKellen and Patrick Stewart, prepares for battle in this action-packed adventure. As Sentinel robots hunt down mutants and humans, the characters from the original X-Men trilogy join forces with their younger selves in an epic struggle to change the past--and save our future… ! Includes bonus content (X-Men Reunited).